Whitney McVeigh has been chosen to represent the UK at the Arezzo International Art Fair, and will present further new work in Venice this summer. A multimedia artist, McVeigh will exhibit a diversity of work, including sculpture, monoprints, and film. Her work explores the psychological and physical aspects that underlie and define us as humans, linking the international audience with whom she has interfaced. Her solo exhibition, Hunting Song, will open at the Gervasuti Foundation in Venice on 1 June. 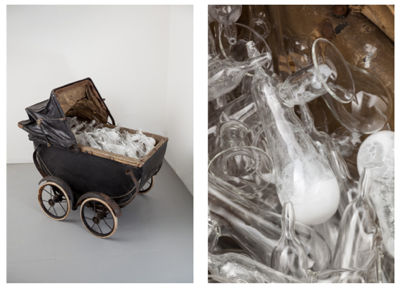 She has also been chosen to participate in Glasstress – White Light/White Heat at the Biennale. Based on the historic glass culture of Murano, the impulse of Glasstress is to break glasswork free from its stereotypes; to re-place it within the global culture of contemporary art. This year, the third time Glasstress is to be an official event of the Venice Biennale, the exhibition focuses on the concept of ‘fashion’ in a collaborative show between Venice’s Berengo Glass Studio, the Wallace Collection and the London College of Fashion, selected and curated by James Putnam. The group show places McVeigh in the company of over fifty internationally known artists, designers and fashion designers, including Tracey Emin, Miroslaw Balka, Cornelia Parker, Eli Saab and Thomas Schutte. Sited in the beautiful Palazzo Cavalli Franchetti on Venice’s Grand Canal, and the Berengo Centre for Contemporary Art and Glass on the island of Murano, Glasstress 2013 White Light/White Heat celebrates the international environment of the Biennale, whilst routing it within a traditional practice of Venice. Solitude a Breath Away is a sculpture that addresses the earlier years when McVeigh’s children were young. The work is about the giving of the body. 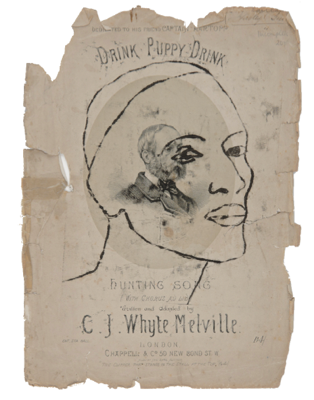 In the ideal location of the Gervasuti Foundation – equidistant from both Giardini and Arsenale, Venice Biennale’s main locations – Whitney McVeigh, in her piece ‘Hunting Song’, will transform an existing charity shop into an installation housing her own work and collection of objects. The work will address both individual and cultural identity and memory. The interdisciplinary programming of this stimulating space is based on the belief ‘that the local and international are two forces which may be cooperative instead of antagonistic’. The social public space fosters engagement between the international artist, local community and tourist alike, readdressing the cultural context of the work, and revitalising the area whilst retaining its authentic craft-centric history – retaining and expanding cultural memory. Both Venice projects are curated by James Putnam. Whitney is also representing the UK at Icastica 2013 Glocal Women 1° Arezzo International Art, opening 8 June. Curated by respected art critic Fabio Migliorati, Icastica 2013 Glocal Women will see the celebrated town of Arezzo once again become a ‘melting pot of contemporaneity’. Inspired by the word icastica, meaning ‘the art of representing reality’, this year’s show specifically focuses on the condition of women as ‘glocalised’ and the increasingly standardised ways in which women are to present themselves: ‘now role is style’. Accompanying McVeigh, Icastica showcases work from over 30 influential female artists, from five continents, including Yoko Ono, Marina Abramovic, Amy Cheung, Nan Goldin, ORLAN and Federica Marangoni. McVeigh places travel at the centre of much of her work, subverting notions of time and place to explore identity and a universal subconscious, and so is a natural fit for this landmark biennale. Attempting to address the aesthetics of belonging in our globalised environment, McVeigh presents a number of monoprints. The artist is also debuting her first film, Sight of Memory, which documents her extended stay in Syria. Created using a hand held camera, the film is a personal response to human life and the everyday details that define who we are. An accumulative set of images, a silent film made as a poem.